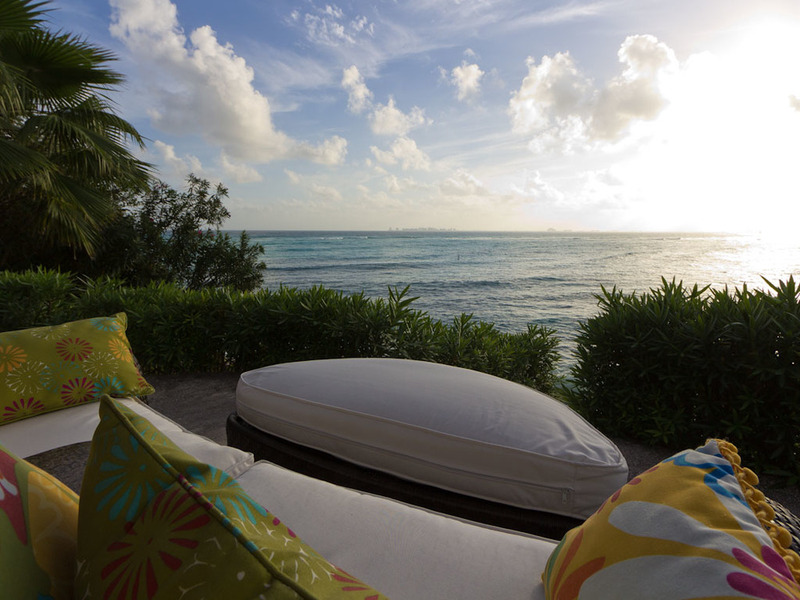 This pristine villa is available to the most discerning guests. 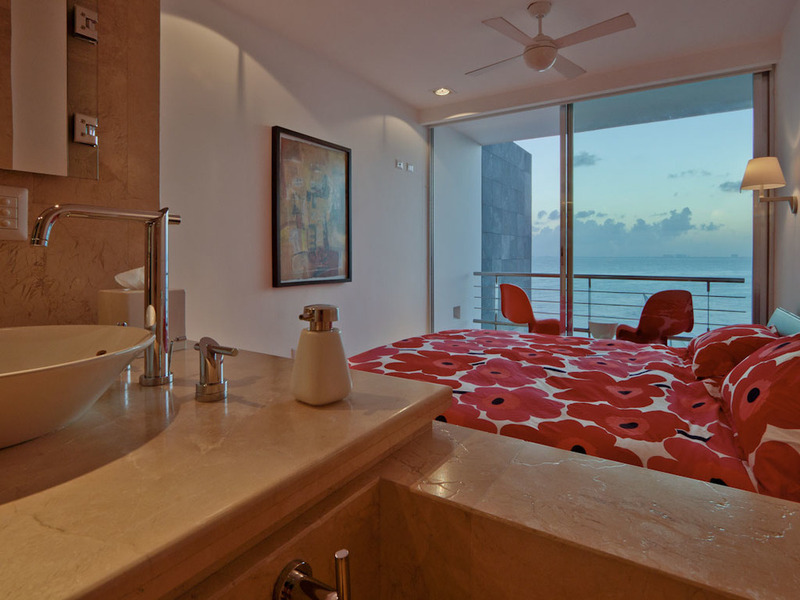 Setting new standards, this contemporary showpiece transcends other more conventional accommodation on Isla Mujeres. 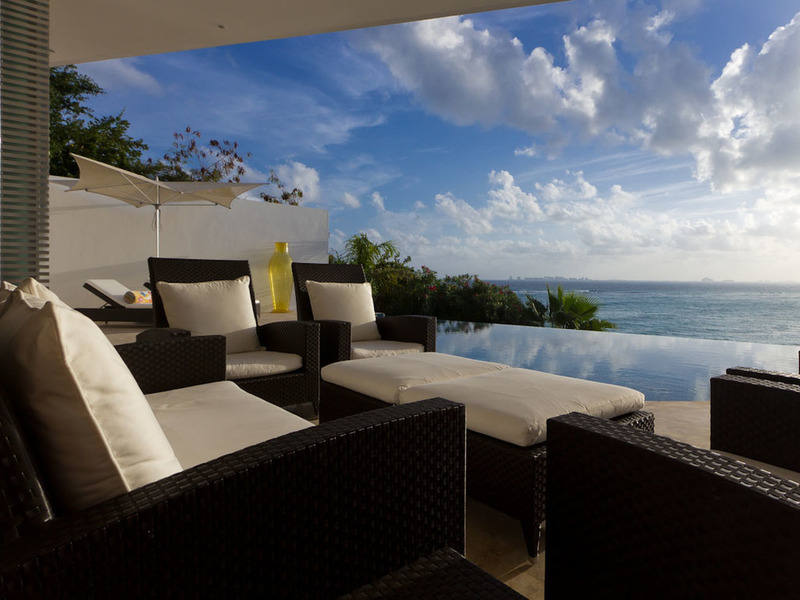 Located on the south point of Isla Mujeres, near Garrafon Natural Marine Park, this stunning award-winning villa was designed by Mexico’s renowned architect Javier Munoz Menendez whose personality and imagination created a masterpiece, a place that never ceases to elevate you. An engineering marvel that is column-free, with dramatic cantilevered ceilings and sliding panes that disappear to fully open up the living area, blurring the boundaries between inside and out, maximizing majestic views, natural light and cool breezes blowing in off the water. Clean graphic lines and high ceilings amplify the sense of openness. 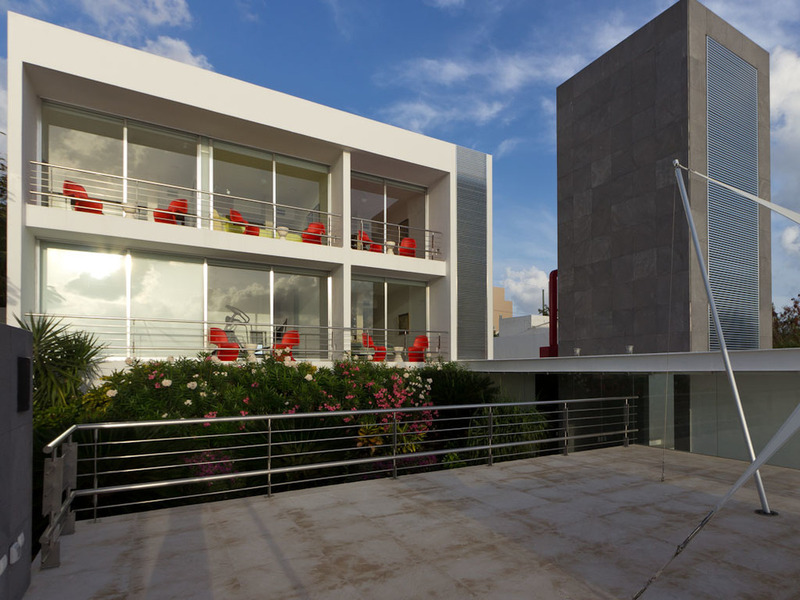 Great architecture improves your life and this extraordinary villa gives aesthetic pleasure. 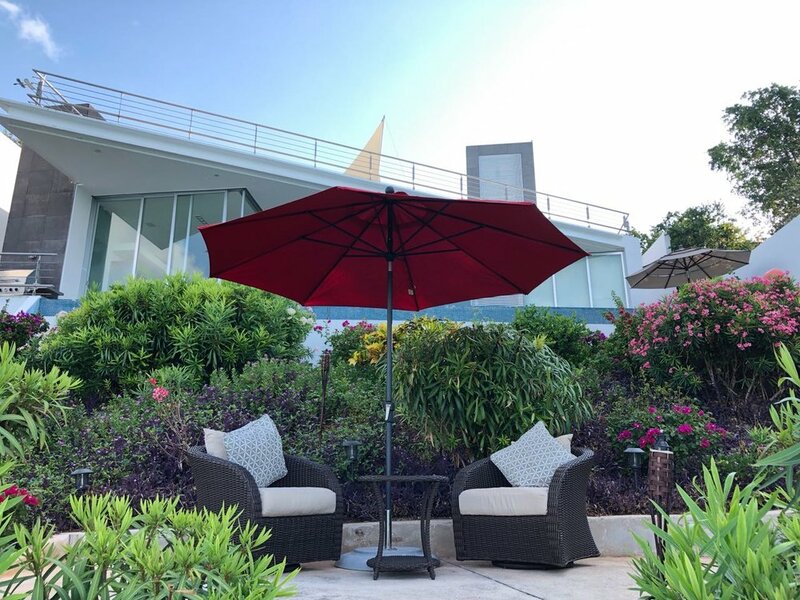 Just a few of the options – have a large party or gathering on the top deck, spend hours lounging around the infinity pool or relax in the lush, colourful garden. Delight in the show at night, starting with spectacular sunsets that will take your breath away. Once the sun sets, enjoy the lights of Cancun, glistening across the water like a diamond necklace. The only sounds you will hear are from the cicadas and the birds. Completed in 2006, this uplifting contemporary villa is completely secure and private with gates and high walls. Six Bedrooms – 3 King beds, 3 Queen bed, 2 Twin beds. Balconies with chairs that overlook gardens and ocean vistas. Deal for wedding receptions, corporate retreats, special events or just relaxing and luxuriating.